The Gallatin Mental Health Center in cooperation with the Montana State University have presented a film screening for the community of Bozeman. The event was held on May 4th, 2016 at the Montana State University campus. The film was produced by Rising Awareness Productions for educational purposes. The event included speakers from Nadine Grayl, Community Health Partners, and Counseling and Psychological Services. There was also a presentation about the services provided by the Bozeman Hope House and their partners. The participants were presented a documentary film “Bridges to Hope: Hope House and the Community”. The film contained interviews from the community personnel and the partners of Bozeman Hope House. The staff and clients of the Gallatin Mental Health Center and the Hope House could enter this event for free, while the general public had to pay $10. However, these two communities never refused services to anyone, even if the person was not able to pay a suggested donation. All of the gathered funds from this event will be transferred to patients who need help. According to statistics, suicide rates in Montana had been very high for the last years. The organizers of this event believe that early intervention can reduce the rate of tragic events. Even if you or our close people have ever experienced mental illness, they could still visit this event and benefit from knowing the health care available to them. 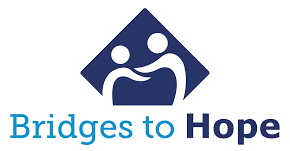 The Bridges to Hope Event will announced the events that the Gallatin Mental Health Center presented as part of Mental Health Month, which has been organized for over the last 60 years in the USA and invited people to attend local events, take part in activities and screenings. The Mental Health Month 2016 activities included a Valley fundraiser, a resilience conference, a Sunday Fund-day, Suicide Prevention Training, the Open Arms Drop-In Center, Mental Health First Aid Training, Maternal Mental Health, Continuing Education Credits, the Gallatin County Detention Center, a Mental Health First Aid course, a Suicide Prevention Training, Mental Health First Aid Training. The Gallatin Mental Health Center offers high-quality mental health services. We employ skilled and caring staff including social workers, psychologists, nurses, psychiatrist, crisis intervention workers, support specialists, and others. Our staff has all the necessary knowledge and experience to provide quality support and health care. Our specialists make all the necessary tests, provide diagnosis, prescribe the correct treatment for those affected by mental disorders.